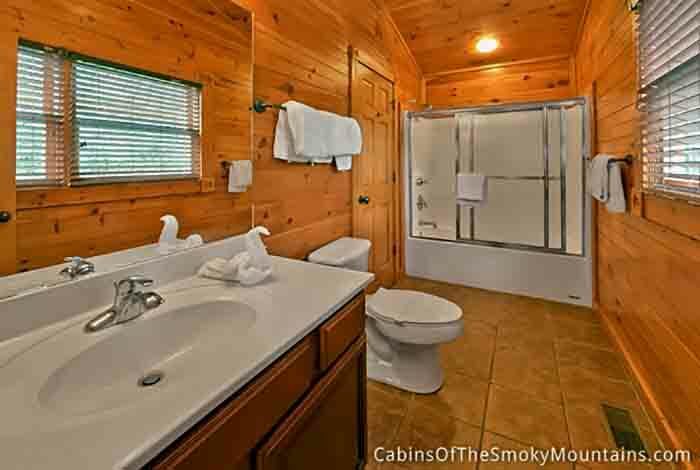 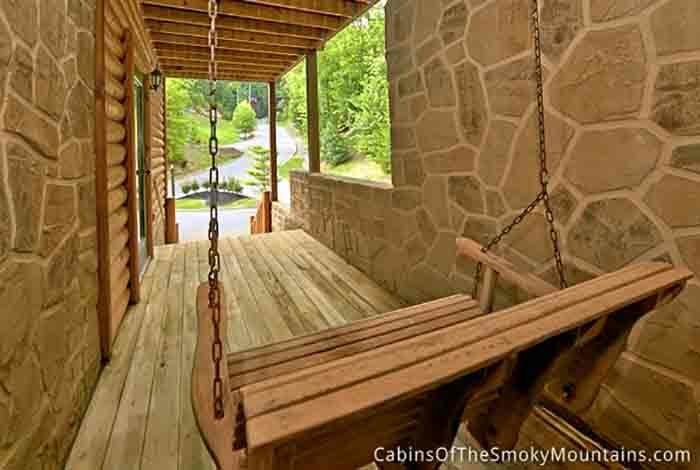 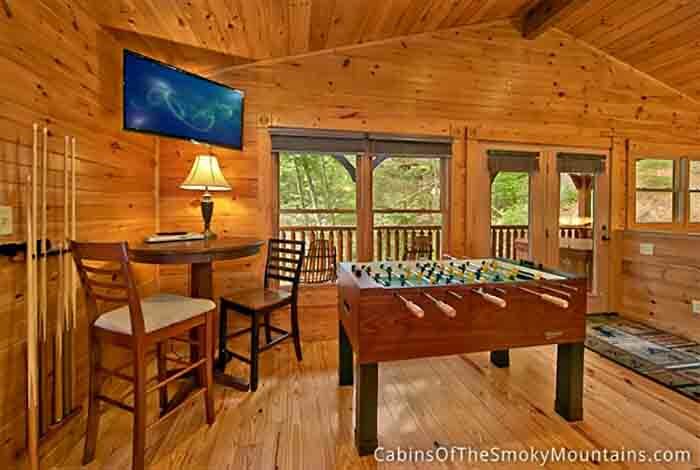 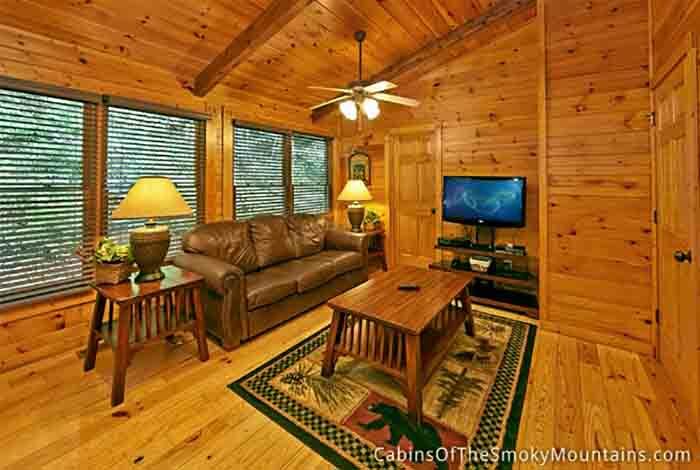 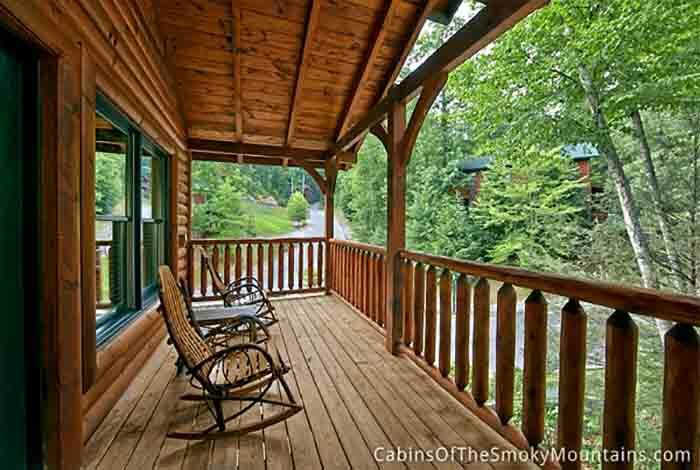 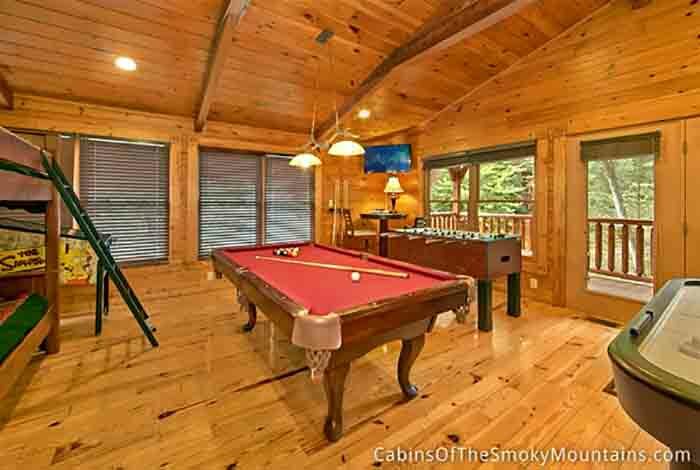 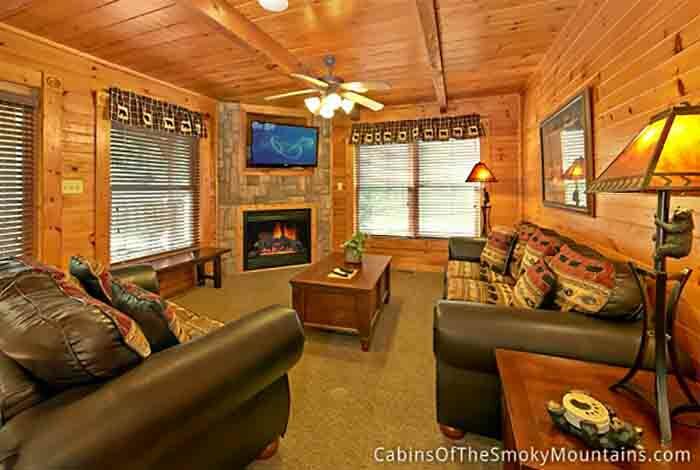 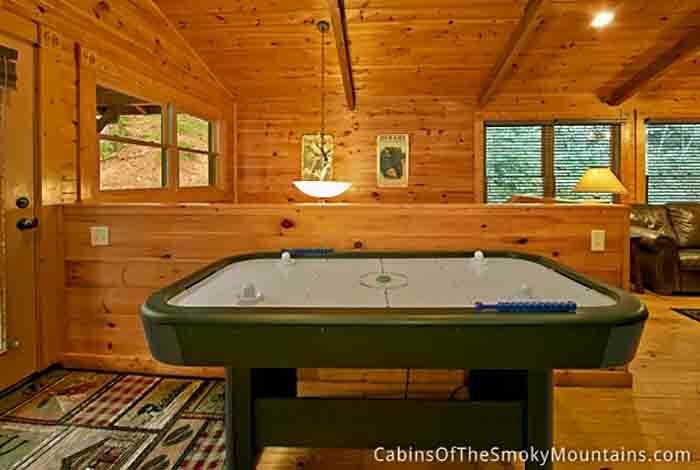 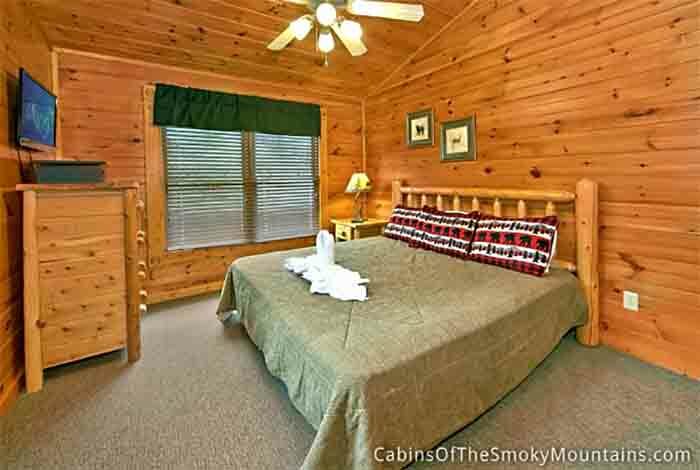 Escape the stresses of day-to-day life and enjoy a stay at Leisure Time, a cabin with the most fun per square foot in all the Smoky Mountains. 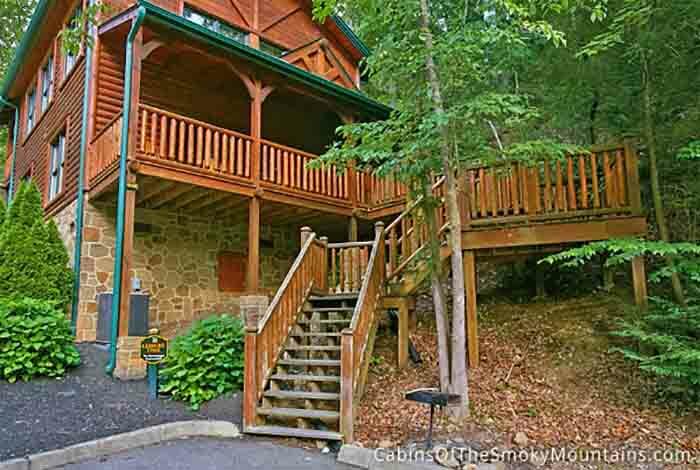 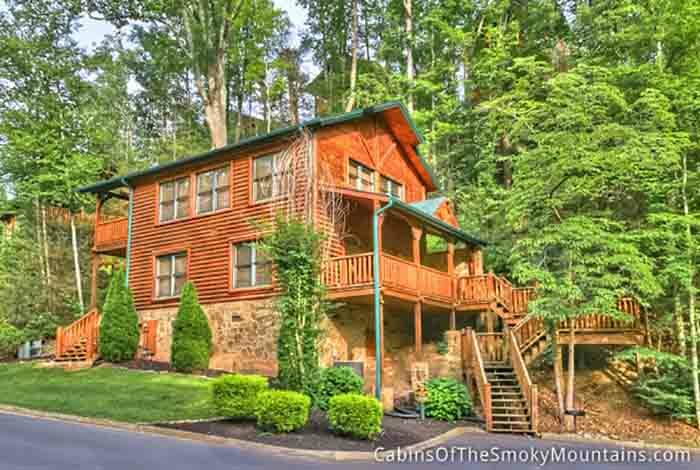 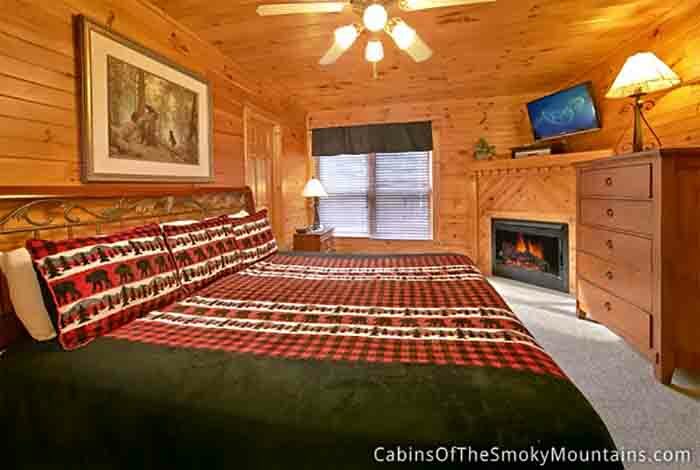 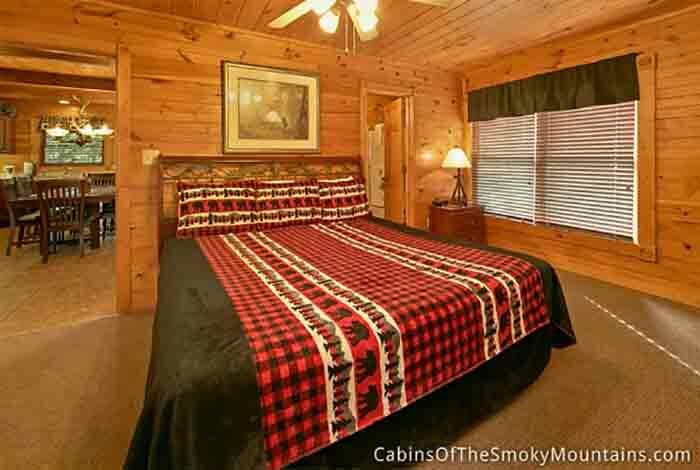 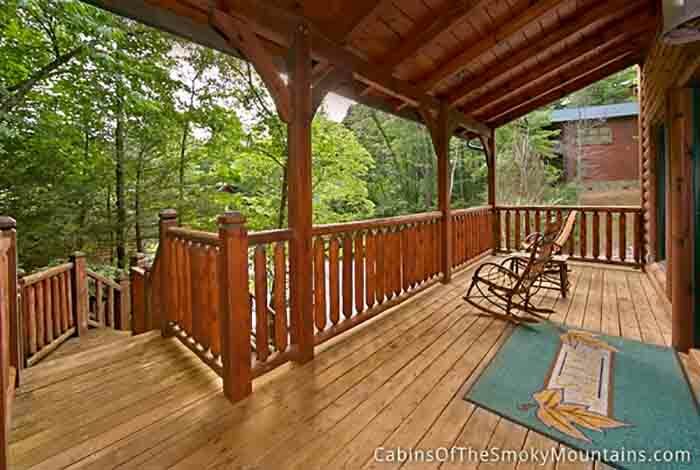 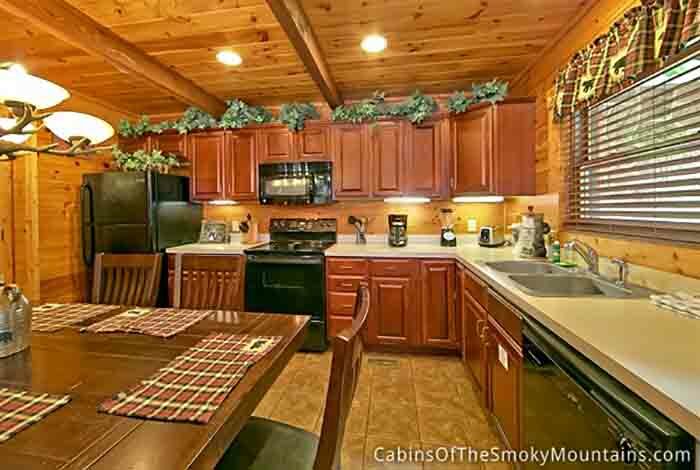 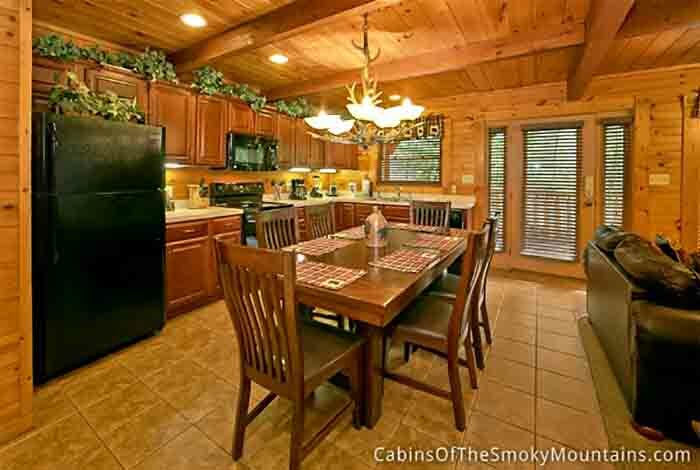 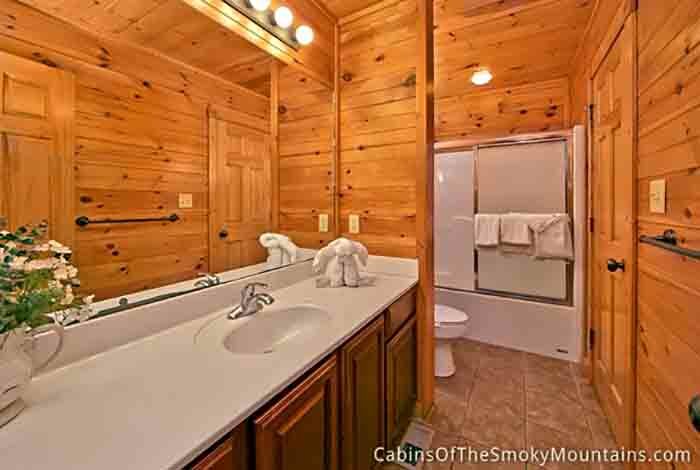 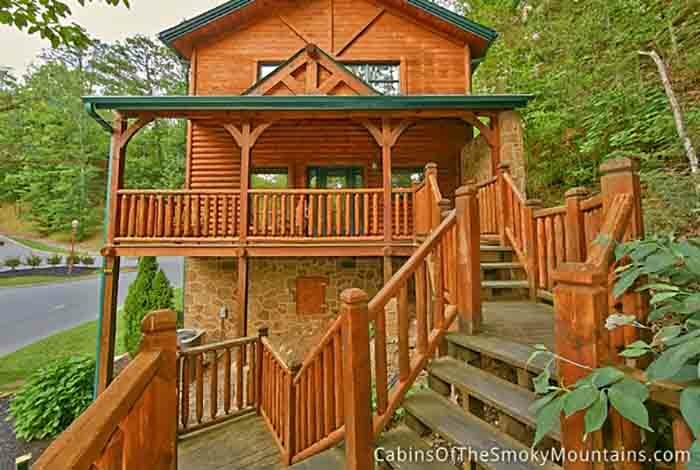 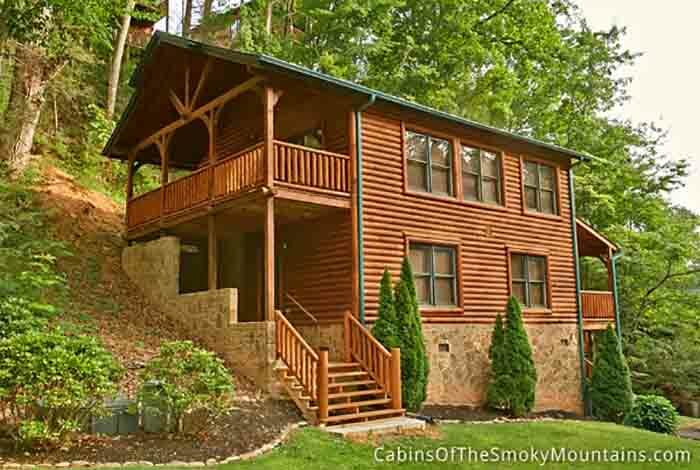 This 2 bedroom luxury Gatlinburg cabin rental is located in the Gatlinburg Falls Hidden Valley Resort right around the corner from downtown Gatlinburg and minutes away from Pigeon Forge. 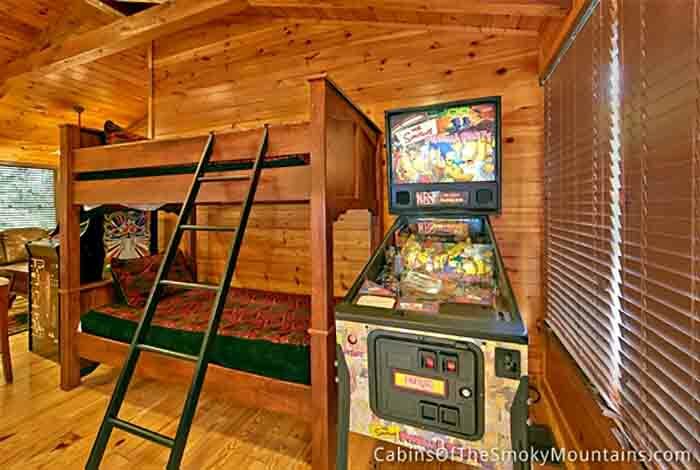 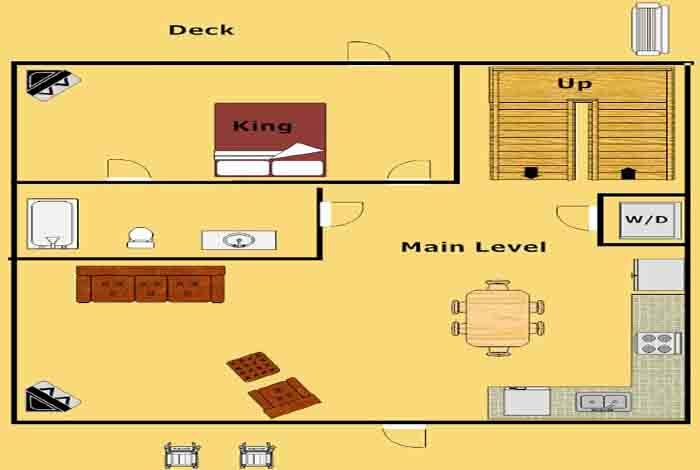 This cabin accommodates up to 10 guests comfortably with its 2 king bedrooms, 1 twin bunk bed, and 2 queen sleeper sofas. 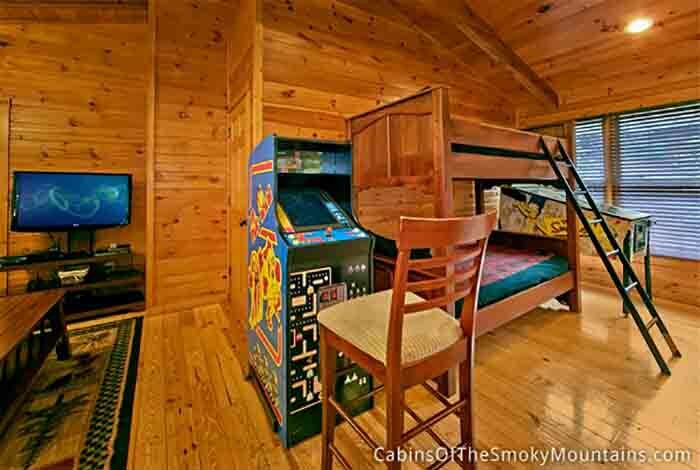 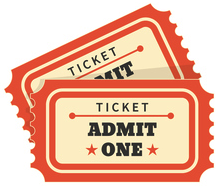 You can rest assured that everyone will be easily entertained as Leisure Time features 5 TV’s with DVD and VCR combo, Pool Table, Air Hockey, Simpson’s Pinball, Foosball, Golden Tee, and Ms. Pac Man/Galaga arcade game. 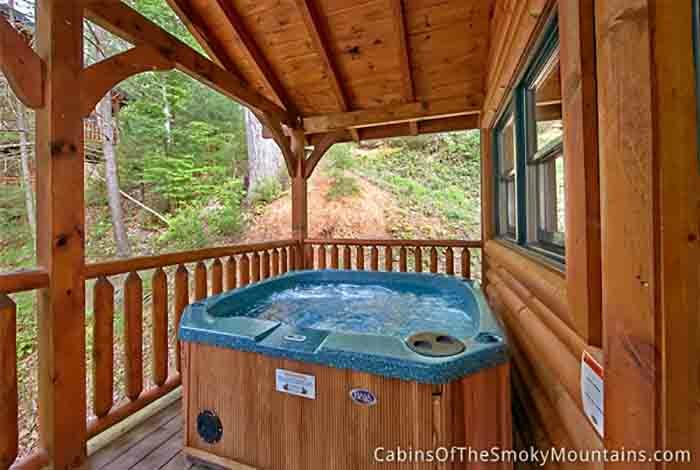 Relaxation is the theme on the deck where you can unwind in your hot tub, porch swing, or any of your 4 Amish rocking chairs overlooking serene resort views. 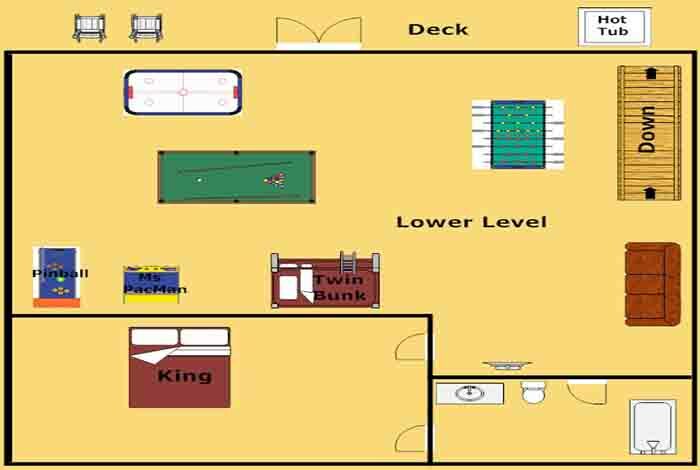 Our summertime guests will also gain access to the resort swimming pool located near the resort entrance at the foot of the mountain.